I have another item from the Skin Fair by Wild Roots. The Tech 81 Tattoo come with the option to have a face tattoo, just the body or both. It makes it nice as you can customize it for your needs. 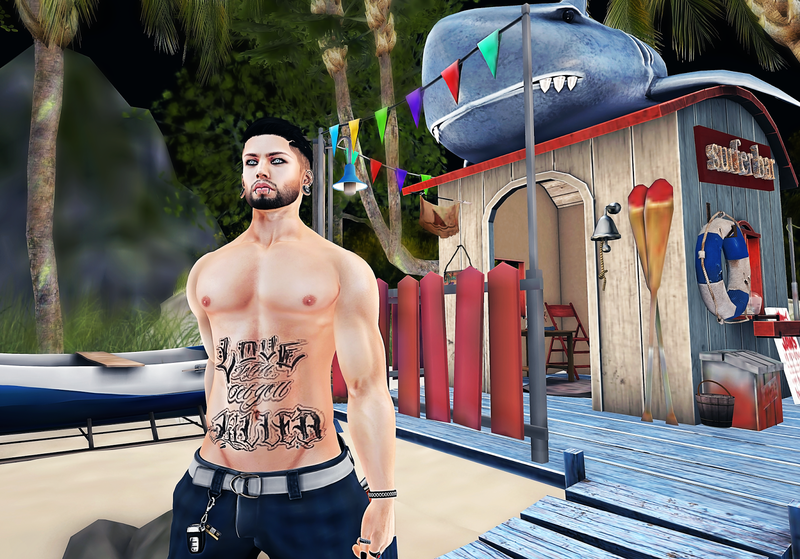 The Skin Fair will run until the 25th of the month, so get over there and get yours now! The Skin Fair is well underway and you should be able to get into the sim finally! Wild Roots has this amazing tattoo for sale over there. The "Call of the wild' is a full color unisex tattoo and it is simply amazing! There is a few flowers on the tattoo, however they are not overpowering. 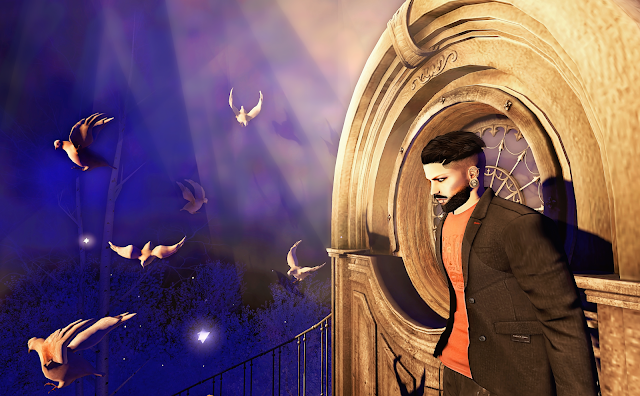 The Men Jail has opened and CDC Creation's has a new mesh beard up for grabs. This beard comes with an applier for your head as well as a mesh beard and mustache. I had no problems getting the mesh part to fit my head in just a few clicks! !nfinty has a new item over at MOM which is open right now to get yours. The Miles Dog Tag some with a HUD option to color change the tag. There is also an option for gold or silver chains. CDC's Creation's has a new mesh beard and goatee up for grabs over at the Hipster Event. This come with a tintable beard for your head. 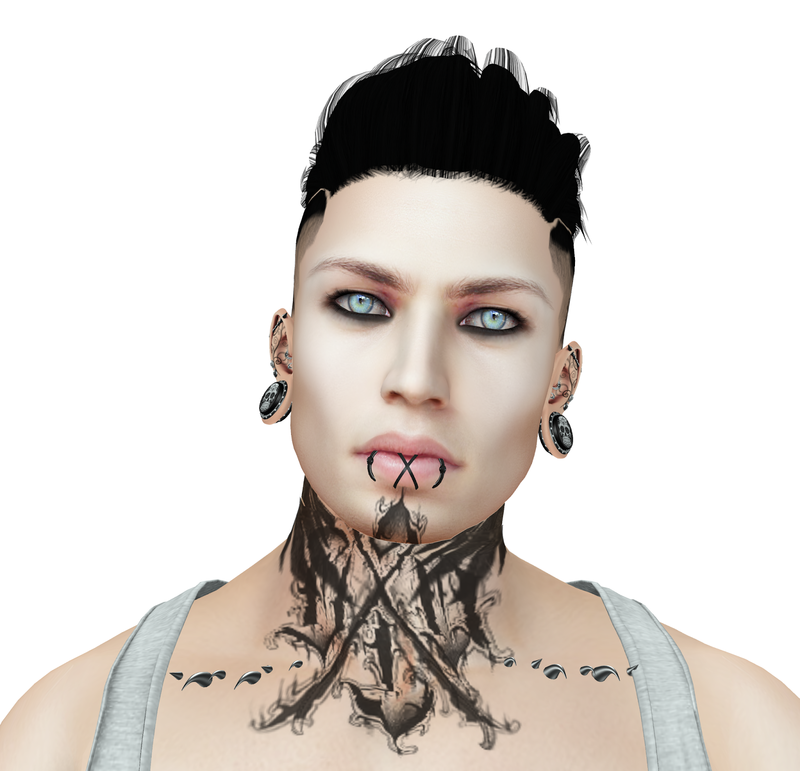 The mesh parts are purchased with your hair color, I found it very easy to resize as well. Lastly I'm wearing this new hat by Ascend, which comes in a number of colors. There the a few patch options that come with the hat, however there is a fat pack which give many more. There a ton of event currently running and I have some great stuff to show you today. First up The Men Jail and over there you can score two different items from my sponsors. CDC Creation's has a new beard up for grabs. As always it comes with the easy applier HUD and its tintable to any color you need. !nfinty has some new bracelets over at The Men Jail too. These are also HUD driven and allows for you to change the leather as well as the stud colors. 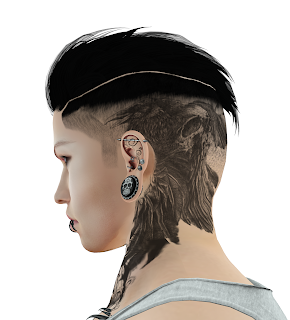 Last but not least there is the new tattoo by Wild Roots over at the Bodyfy Event. There is a number of new releases from Wild Roots over there and you will see more later this week. Wild Roots new tattoo for sale over at D23, this picture was taken in sl and then uploaded to the blog unedited to give you the idea of exactly what you will get. D23 will run until feb 10th so make sure to get over there and pick up yours!